18th May v Bedfordshire @ Rushden G.C. Cancelled due to weather. Overall a fantastic season. The results speak for themselves however just as pleasing is the way we play. Mike Abbott's legacy of playing with great team spirit, the emphasis being on enjoying the experience whilst staying competitive, held true through all the friendly and league games. We had some great days in the five friendlies; although I was unable to play against the Lady Vets everyone said it was throughly enjoyable and it will be repeated in future. The off season work trying to find new Cat1 players aged 55 and over proved invaluable. We managed to find 7 new players all of whom fitted into the team ethos particularly well. We got off to a strong start in the Anglian League with an away win against last year's champions Suffolk. We the went from strength to strength winning all our league games, bar one draw. We had especially memorable wins against Notts at home and Leicester away. The final match at Oundle against Lincs was pivotal with a win ensuring that we would be Champions of both the Anglian and East Midlands Leagues. The team dug in and managed to win the Anglian Match 8v7 and the East Midlands 9.5 v 8.5. We then went to Henlle Park at Oswestry to play the West Midlands Champions Worcestershire to play for the overall Midlands title. The final result 9 v 3 didn't reflect just how close the match was with the result only being secured in the last two games. With all three titles secured the team has had a record year. The focus for 2019 will be on a continued strengthening of the team with new League players. and to put together an improved performance for the 6-Man Team event at Coxmoor whilst maintaining the overall team ethos. The aim of the section is to enjoy good social combined with a competitive edge. Matches are played throughout the Midland and Anglia Regions alternating home and away each year. We currently play a mixture of Fourball/Foursomes and Singles formats. Other Counties involved are Bedfordshire, Cambridgeshire, Derbyshire, Nottinghamshire, Norfolk. Suffolk, Warwickshire, Worcestershire, Leicestershire, Shropshire & Hereford, Staffordshire and Lincolnshire. Most of these Counties come together to compete in the annual Midland County Team Championship with the winners progressing to the National Final played against 2 other regional finalists over 3 days at a top venue. Northamptonshire were fortunate to be finalists in 2006 & 2010. 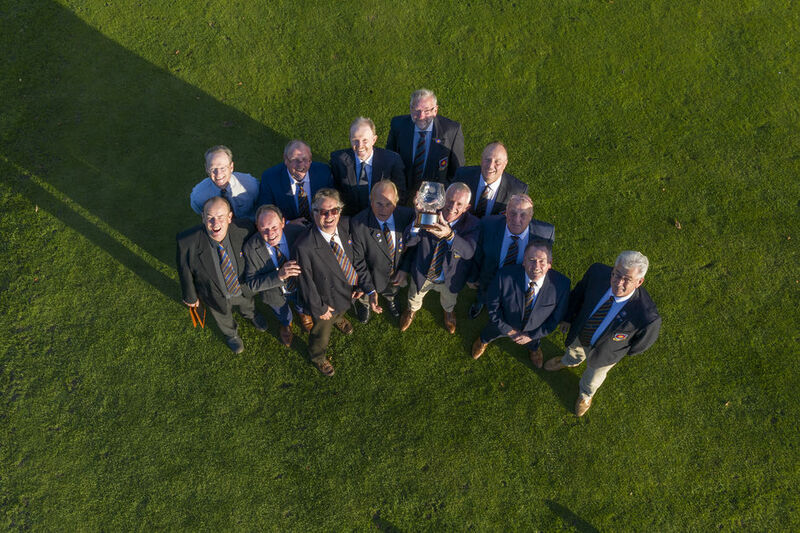 We also compete in the Anglian Seniors League, winning the inaugural 2012 tournament and then again in 2014 , 2015 , 2016 and again in 2018. 2013 saw the introduction of a new Midland Seniors League and we fortunate in sharing the East Regional title with Nottinghamshire. We finished runners-up to the same county in 2015. 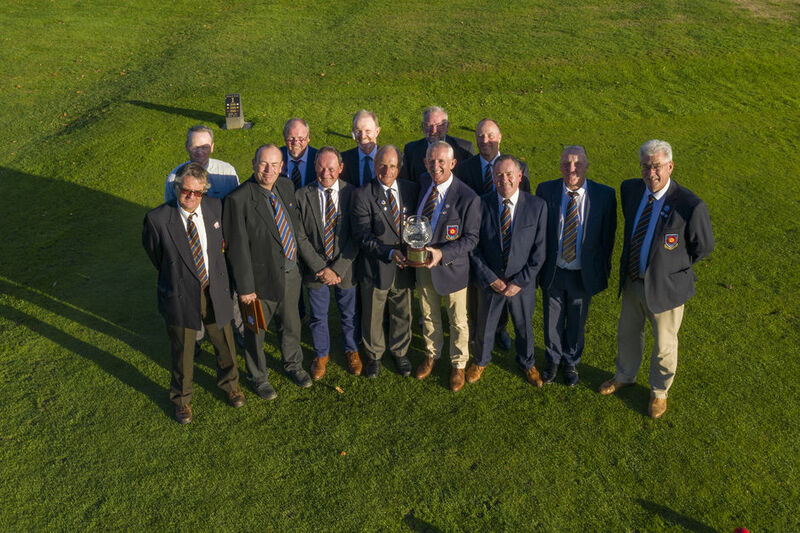 In 2018 we won the title outright going to win play-off against Western Regional winners Worcestershire for the overall Midland title. The Seniors County Championships which is open to all members of NGU affiliated clubs aged 55 or over on competition day. 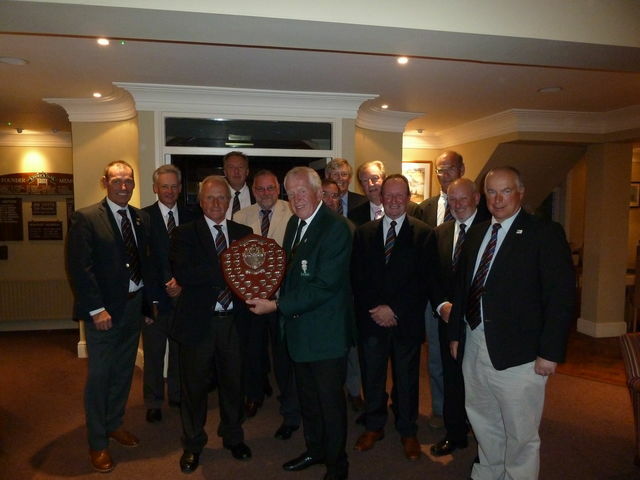 Trophies are presented for best scratch and best nett and other team and age related prizes, all are welcome. 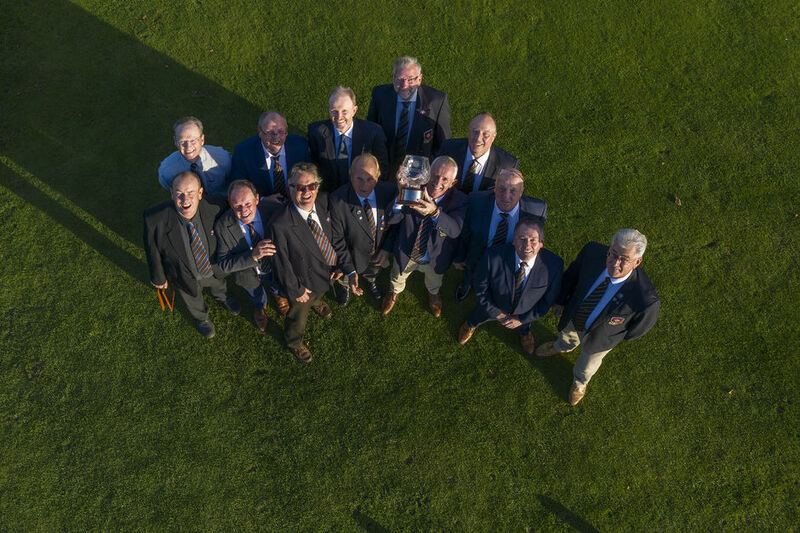 In the Autumn we also hold a Fourball Better Ball Open for Seniors within and outside the county. 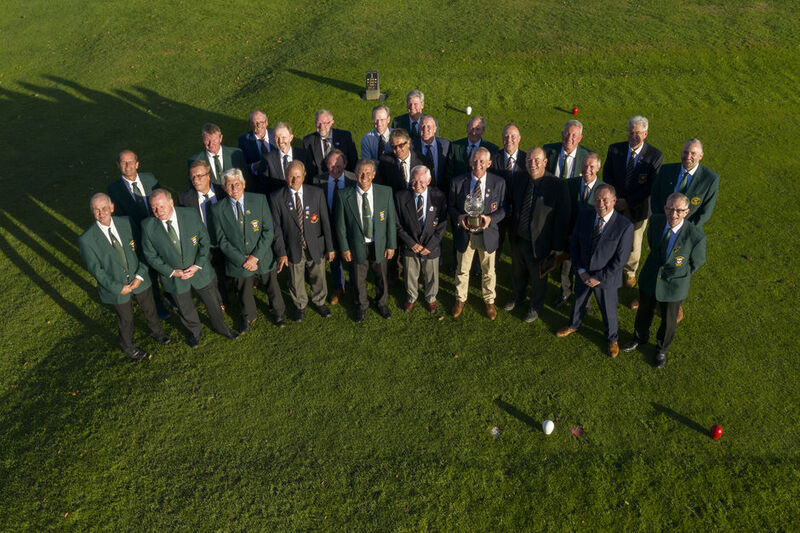 The Midlands Golf Union also run a number of open competitions open to elite seniors throughout the season at venues around the midlands region. There is also an annual Open Fourball Competition played late in the season. This is for all senior men, not just elite players and also open to players from outside the county. The enthusiasm of the players makes my job as non-playing organiser an absolute pleasure. The County subsidise us by providing a ball for each round and team clothing, pre-season coaching, as well paying for match meals. The season is rounded off with a team get together and presentation dinner. We are happy to receive contact details from any member with a handicap of 8 or below. If you are interested please use the contact form (click on the link at the top of the page) provided under "Contact Us" .